Owning a living thing is a responsibility not to be taken lightly. Part of that responsibility is to LEGALLY own your exotic pet and not give the animal rights activists a reason to take this privilege away. Thoroughly researching your county, municipality, parish, and state regulations for your desired exotic pet it the MOST IMPORTANT first step you will make towards exotic animal ownership. Please do not contact this breeder or any other before doing your due diligence and finding out ALL the regulations you are subject to. 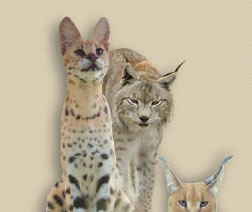 Many state laws allow for exotic animals while county, zoning, parish, or other municipalities will not allow for them. Ignorance on your part can get your new baby taken away from you. It is your responsibility to know the law. Contacting this breeder or any other before THOROUGHLY researching your regulations disrespects and wastes your breeder's very valuable time. Most quality private breeders have few humans doing a tremendous amount of work taking care of their animals and providing customer service to their clients. Please be considerate. The link below is simply a starting point towards your state's laws and regulations. It is your responsibility to not just click the appropriate link but to find the other agencies you are subject to and CONTACT them directly. Good luck.